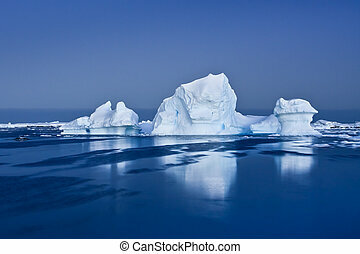 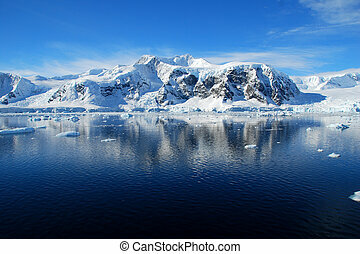 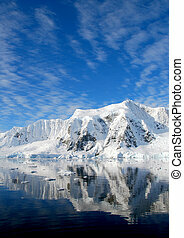 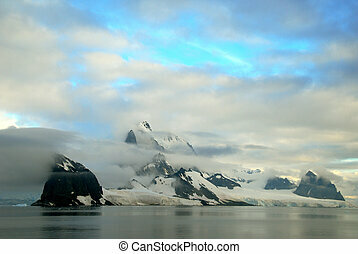 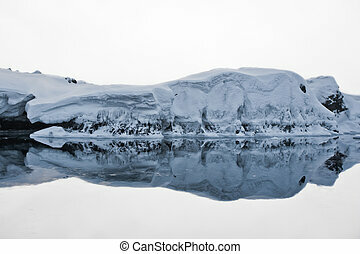 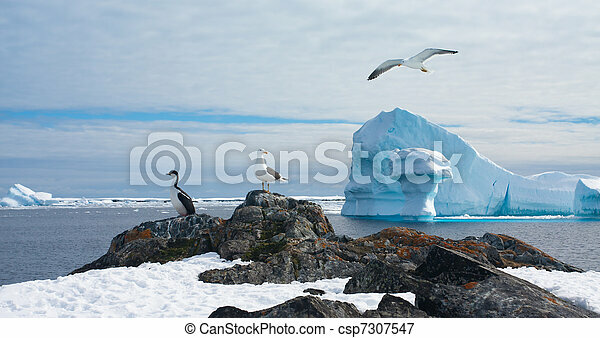 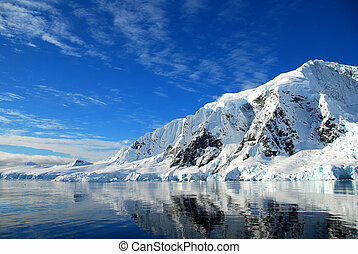 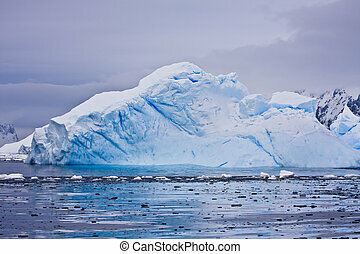 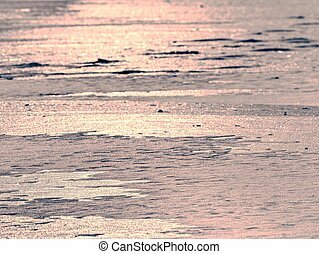 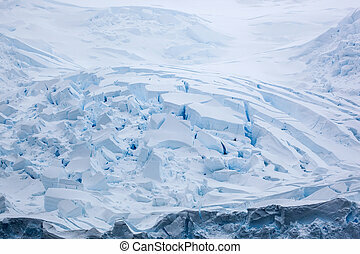 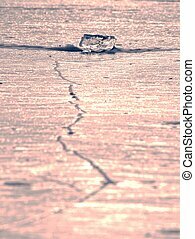 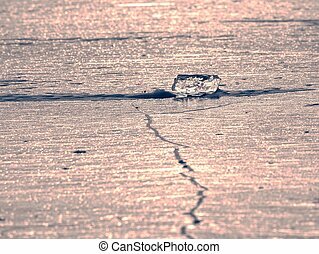 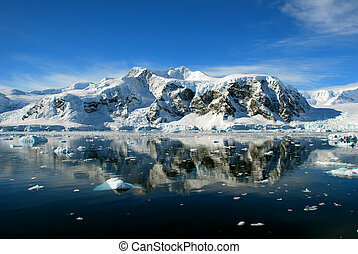 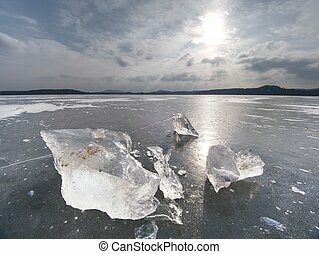 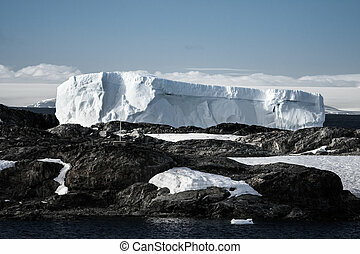 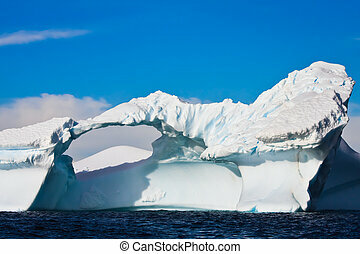 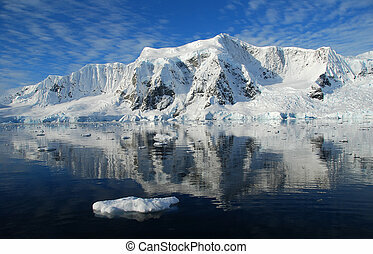 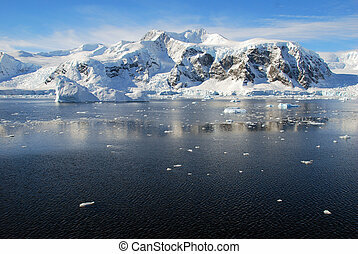 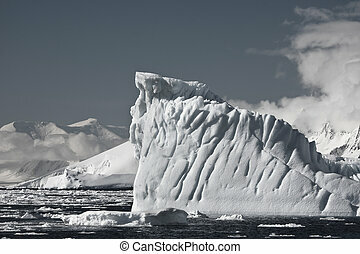 Beautiful antarctic landscape with glaciers and bird in sky. 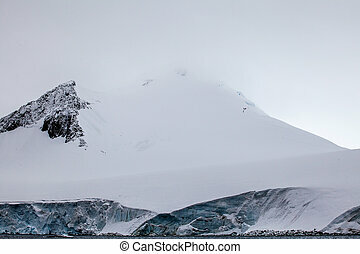 Beautiful snow-capped mountains against the sky. 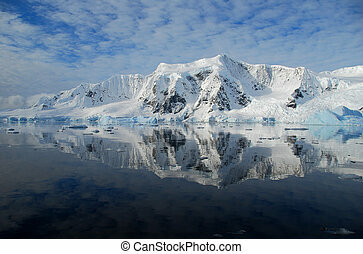 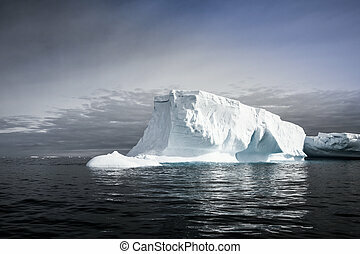 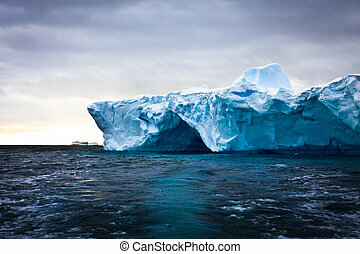 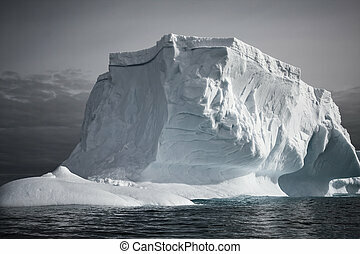 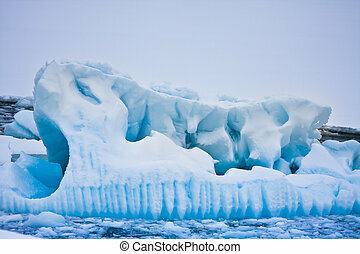 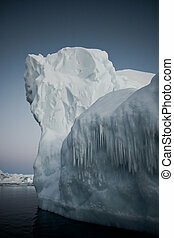 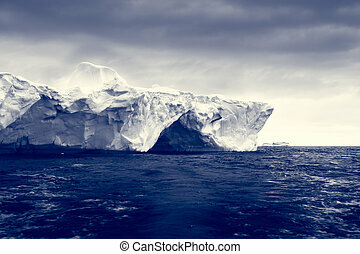 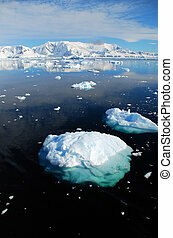 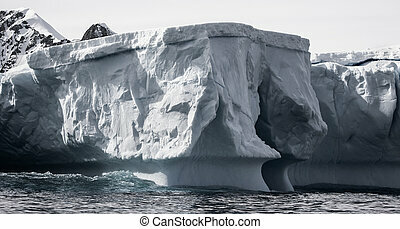 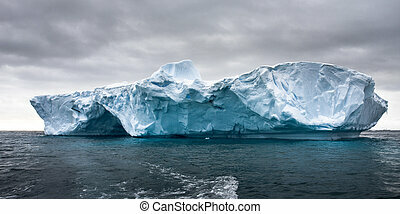 Antarctic landscape.